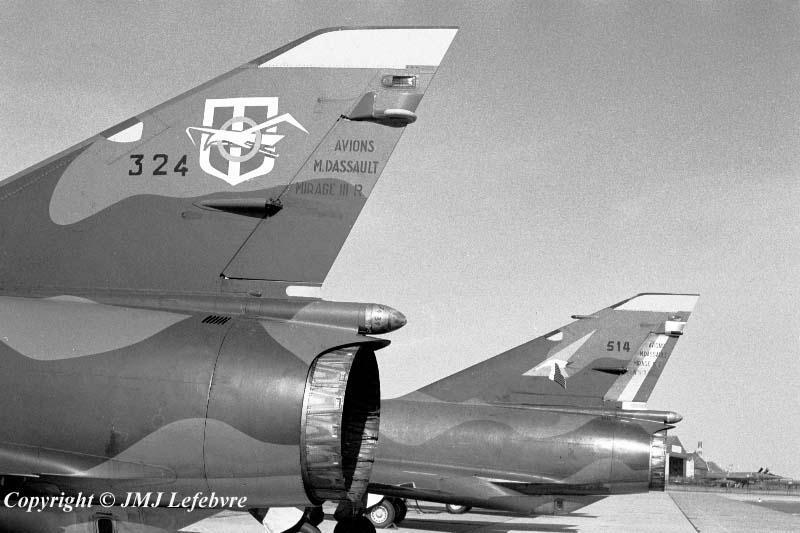 The Reconnaissance ER 2/33 'Savoie' Squadron has its blue circled seamew in the simplified Savoie Province schield applied on two sides of fin. It is one of the oldest escadrilles in France, having flown Deperdussin aircraft under D 6 at Reims in 1912, next Caudrons under C 6 since March 1915 and finally Salmsons under SAL 6 from 1st January 1918 until disbanding of July 1919. Traditions of SAL 6 were adopted, a year later, with the creation of the 16th Flight of 5th Group of 33rd Observation Regiment attached to the Rhine Army , the 16th adopting then the seamew as emblem. From 1st january 1924, the 33rd became 33rd Mixt Aviation regiment and its SAL 6 escadrille was then based at Nancy until late August 1939 under other designations before to be, since July 1932, the 4th escadrille of 2nd Group of 33rd Wing specialised with recce ( 4th flight of II/33 Squadron )... 2/33 including escadrilles MF 2 and SAL 6 adopted the Croix de Lorraine (Lorraine Cross) as emblem when leaving Nancy after 15 years spent on its air base and having flown since 1920: Bréguet 19s followed exclusively by Potez aircraft of types 25, 542 and 637. Becoming a self administred recce unit at the outbreak of WWII the squadron flew, from November 1939, Potez 63/11 during the Campagne de France before moving to North Africa on 20 June 1940 where it received Bloch 174s later when I/33 Squadron was disbanded at Setif. With Blochs II/33 operated from Tunisia and used them after Allied Landing in North Africa until their replacement by Hurricanes at the end of 1943 when also Squadron II/33 officially received the French Province name of Savoie. After the Tunisian Campaign, the squadron debarked to Italia during May 1944 and was the first French flying unit to land in France on 20 August 1944.